If you’re not taking advantage of the benefits of social media marketing, then you’re so far back in the pack that you’re looking at tails. 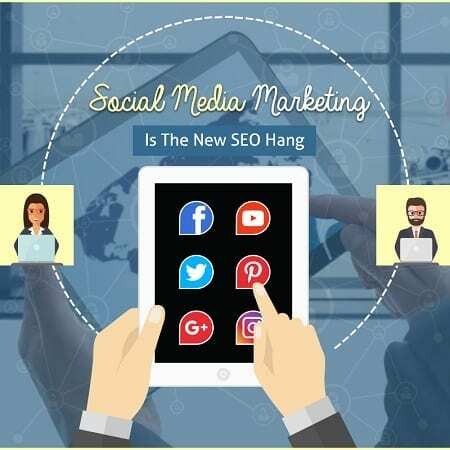 The reasons for using social media in your marketing should be obvious, however, not everyone knows to what degree this field can go and what the benefits are. First of all, there’s no magic bullet that will make you a star via social media. The number one talent you’ll need is creativity. Add to that, innovation, knowledge, strategy. There are so many social media platforms out there that it can be overwhelming. Trying to put out content on each of them is a chore. The value is that if you don’t rank high on the search engine pages, you can rank higher with social media which later will impact your Google results for the better. The reasons for social media being a great source of traffic is because you’re dealing with the public directly. Unlike battling for attention on Google, with social media, you can get results fast in real time. Even if it’s delayed you’re still getting a response from the potential customer which is called organic traffic, the best there is. Not everyone can be a star on social media, as a matter of fact, there are people who couldn’t post on Facebook without burning down their own house or destroying the Free World. It’s because they’re either incompetent or just menaces. Social media works best when you’re cheerful, courteous, and above all, funny. A great sense of humor can be the difference between success and failure. Your posts, commentaries, interaction with others, should have a humorous flair, but not disingenuous. Don’t make enemies or they can turn on you causing chaos. Instead, remedy the negative stuff with a good joke or just a smile. You want people to feel comfortable coming to your site not worried that they’ll get clobbered by some knucklehead. Utilizing as many social media venues as possible can burn up lots of time. There are apps that allow for you to manage your social media adventures. These apps can post to most or all of the major social media sites. The commentary coming in, the shares, the inbound relevant links, all load up your SEO for the good. The reason being is because Google’s software algorithms look at these posts and related commentary, links, shares, as an indicator that your site, your brand, is interesting to people not only in your niche but from other sources of interest. It means you’re providing a service of value to the surfer, and Google wants their surfers to benefit from their searching experience so that they won’t wander off to the competition. You’ll know if you’re successful pretty quickly. You’ll be answering and replying to commentary on your posts and getting requests for more. Provide solutions to people when they ask for help, however, that help you provide should dovetail into traffic to your website. Do this without spamming your URL, but put your URL in your sig and other allowable places so you don’t get busted for spamming. As you continue to apply these techniques and tactics with your SEO skills, you’ll grow at different rates but always upward. You’ll become a nexus point of sorts and an authority in your area of business. As this happens your search engine rankings should rise, especially if you fine-tune such things as Local SEO and other subcategories of SEO. Basically, at the end of the day, you want your website to be the ‘Hang’ or hangout for people who are looking for goods and services that you provide. When that happens you’ll have retention and conversion on a regular basis, and that ain’t bad.